“Best” Fuel Price – $4.69!!! 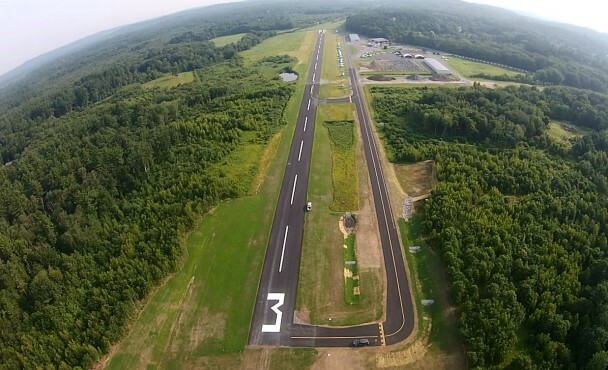 The hill is gone, the ‘3’ Runway Safety Area (RSA) is FAA compliant, the runway is newly paved end-to-end and the southern 1/3 of the taxiway is newly paved to FAA standards. Fly in soon – it’s guaranteed to put a smile on your face! Please join us, help cut the ribbon dedicating our newly paved runway and enjoy some cake and ice cream at 4 pm Thursday, July 9th at Nancy’s. You’ll have a chance to say “Thank you” personally to the folks at MASSDOT, our legislators and town officials who made this project possible. We hope to see you then!!! Closed for summer break from Monday, June 29th – Tuesday, July 7th. Join ‘Nancy’s Gang’ on the terrace August 7th for a ‘Taste of Gin’ event! Closed Saturday & Sunday, July 4th & 5th. This is a good time to sign up for 24 hour access to our fueling system. E-Mail or call OPS for details. Our next (third) 10-unit T-Hangar now has five firm reservations. We have begun the design/permitting phase (May – August). We anticipate beginning construction in September. We anticipate occupancy before cold weather sets in.